Back in April of 2016 I quit my full-time job and traded it for a life of uncertainty and a life on the road. I moved out of my cushy apartment and headed out with no real plan. I went off to Europe for a month and ran through 11 countries over 25 days before returning “home”. I crashed at my sister’s house for a few days before heading out to guide some trips for Austin Adventures. 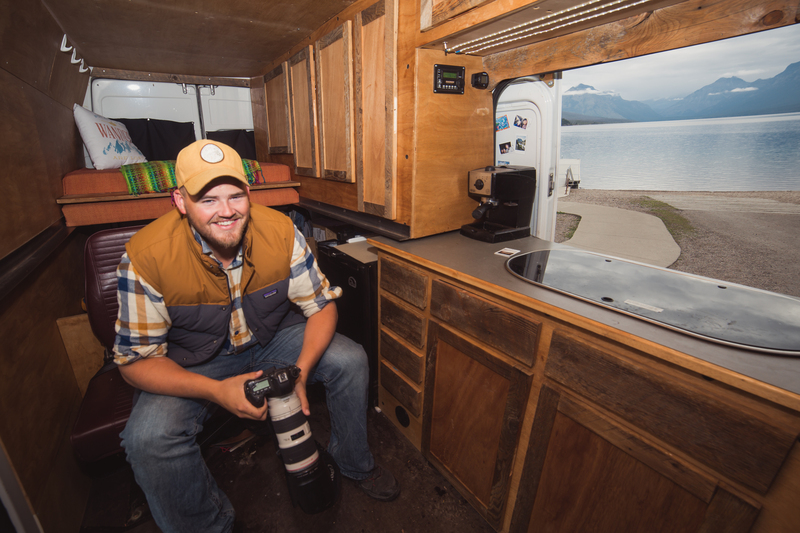 Then in June I happened to be in Bozeman for a few days when I opened up Craigslist and found the van of my dreams, a fully converted 2006 Dodge Sprinter van. 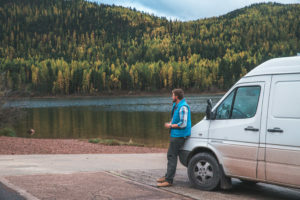 I emailed the guy and the next day I scheduled to look at the van only hours before I had to hit the road again to guide a trip in the Tetons. I instantly fell in love and before I left I was now the proud owner of a van. Morning coffee tastes better with a morning view. Owning a van had been a dream of mine since I was a kid gawking over the nostalgic VW buses of years past. 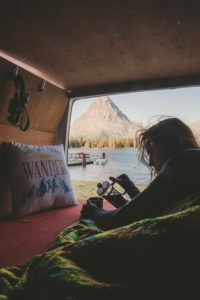 The road has always felt more at home than any apartment or house ever could, and the van is simply a tool to live out this life that my heart desires. I settled on a sprinter van instead of a VW Westfalia based on reliability, power, and fuel efficiency. As beautiful as Westy vans are, they are overpriced and underpowered. My van gets between 20-28 mpg and has enough power to throw a tow package on and tow a trailer if I really wanted. Combine that with a beautiful all reclaimed wood interior, solar panels, diesel furnace, and more on the inside and it was the perfect fit for my first tiny home. I’ll save more stories about why I decided on van life, how my van got the name “Nemo”, and more for blogs in the future! For now, welcome! 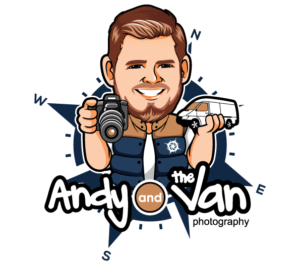 Andy your first blog was wonderful and very entertaining. I love your sense of adventure and your beautiful pictures. Will be fun to see where the road leads you next.